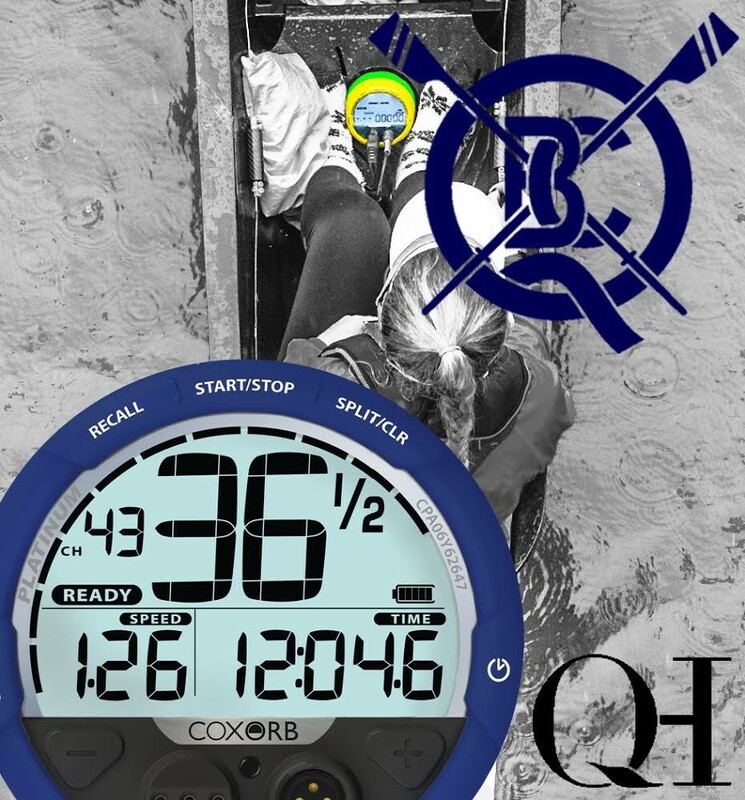 The announcement of an Award, sponsored by QHMF, aimed specifically at schools, colleges and clubs, prompted a record entry of 250 crews. Despite the weather which tried its hardest to cancel the Head all crews raced. The Award highlights the opportunities that rowing can bring and is helping to re-invigorate the current membership of QBC. The winning crews each received a CoxOrb Platinum presented by Mark Davies, the Chairman of British Rowing. The presentations of prizes took place 28 February at the boathouse. More than 80 people, including 4 schools and numerous Clubs, attended. Feedback from the winning teams was that they were delighted with their prize, with the coaches from each club commenting that it was a very generous prize and one they would certainly continue to aim for in future years. "It's a fantastic initiative and certainly one that can bring together various year groups in one club. Thank you for a great days racing and running the event. It is one that I personally look forward to each year." 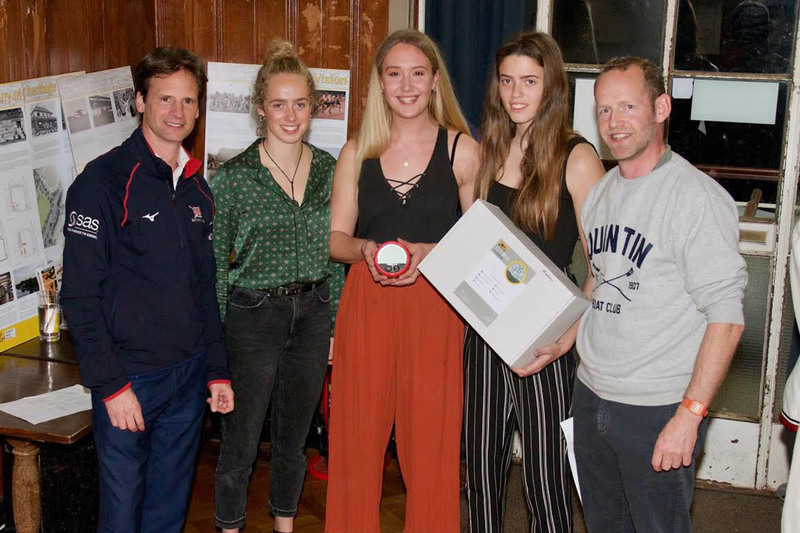 The winning Girls crew receiving an CoxOrb Platinum presented by Mark Davies, Chairman of British Rowing and Mark Chatwin, Captain, Quintin Boat Club, hosts of the event. 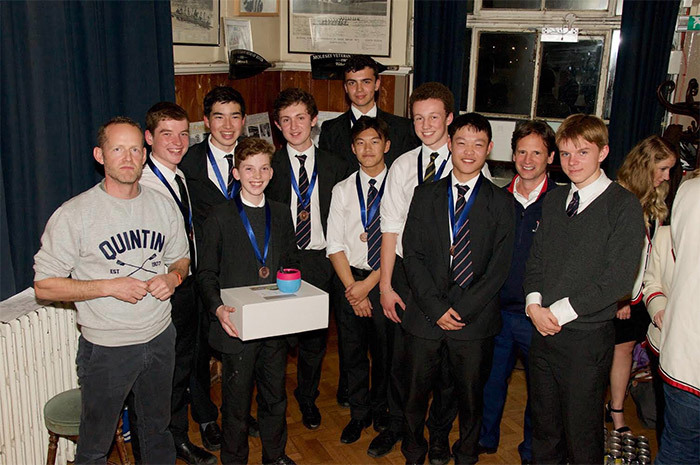 The crew of Westminster School winners of the Boys Award of a CoxOrb Platinum seen with Mark Chatwin, Captain Quintin Boat Club and Mark Davies, Chairman of British Rowing.